Atraumatic shoulder instability, also called multidirectional instability (MDI), develops in patients who have increased looseness of the supporting ligaments that surround the shoulder’s glenohumeral joint. This looseness can be a natural condition (present from birth) or a condition that has developed over time. The shoulder is the most mobile joint in the human body with a complex arrangement of structures working together to provide the movement necessary for daily life. Unfortunately, this great mobility comes at the expense of stability. There are four bones and a network of soft tissues (ligaments, tendons, and muscles) which work together to produce shoulder movement. They interact to keep the joint in place while it moves through extreme ranges of motion. Each of these structures makes an important contribution to shoulder movement and stability. Certain work or sports activities can put great demands upon the shoulder, and injury can occur when the limits of movement are exceeded and/or the individual structures are overloaded. Some individuals have naturally loose ligaments which can predispose them to instability. Shoulder instability can also occur in people who regularly perform shoulder motions that stretch out the joint capsule; gymnasts, pitchers, volleyball players, and swimmers are at higher risk for shoulder instability. Sometimes a sudden injury will cause increased symptoms. With multidirectional instability, the shoulder is loose with motions in several directions. This is different from patients who have instability following a shoulder dislocation that occurs as a result of a traumatic injury; these individuals generally have looseness in only one direction. 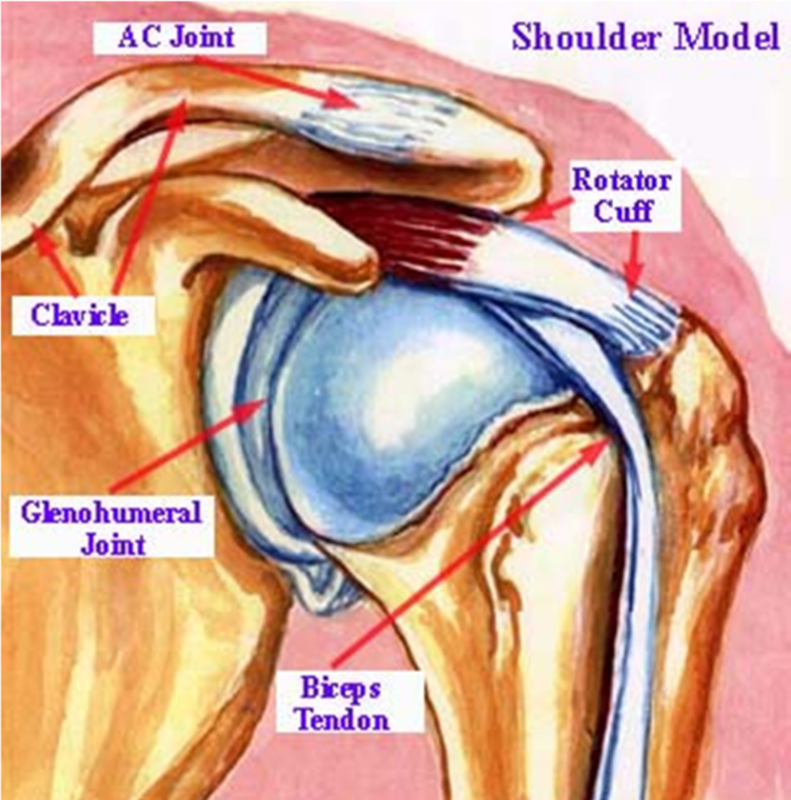 Possible pain caused by inflammation within the shoulder joint. The main sign is pain in your shoulder. The pain can start suddenly or slowly. Certain motions or positions (for example winding up to throw a ball) may aggravate the pain. You may notice that your shoulder feels loose or that your arm feels weak. How is multi-directional instability diagnosed? The patient’s history may reveal a recent injury, an obvious dislocation, or a change in sport or training that has led to instability in a previously healthy shoulder. A general examination of joint mobility is very helpful. By moving the arm around in several positions, the doctor can evaluate full shoulder motion. Multidirectional laxity may be present in both shoulders even though only one may be bothersome to the patient. A patient with MDI has an increase in shoulder joint movement in multiple directions, and symptoms can be recreated in one or more directions. X-rays are always obtained, primarily to rule out any associated injuries that would require treatment. Occasionally the images reveal a congenital (present since birth) abnormality that may be contributing to the instability. An MRI (Magnetic Resonance Image) can reveal other sources of the shoulder pain that may require more than a rehabilitation program alone for successful treatment. Generally non-surgical options are the first point of call. Physiotherapy – Most patients with MDI can be treated with a physiotherapy program that emphasizes muscular rehabilitation. This involves strengthening of the rotator cuff muscles and those muscles around the scapula, thus providing dynamic stability to the joint. To achieve these results a rehabilitation program has to be followed diligently for at least 6 months. If non-surgical options have failed to offer relief from the symptoms of MDI and daily activities are being disturbed, surgery may be considered. 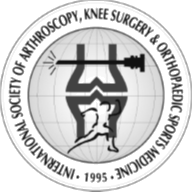 This may be done arthroscopically Ð a small camera is inserted into the shoulder through small incisions Ð or an open procedure may be required. 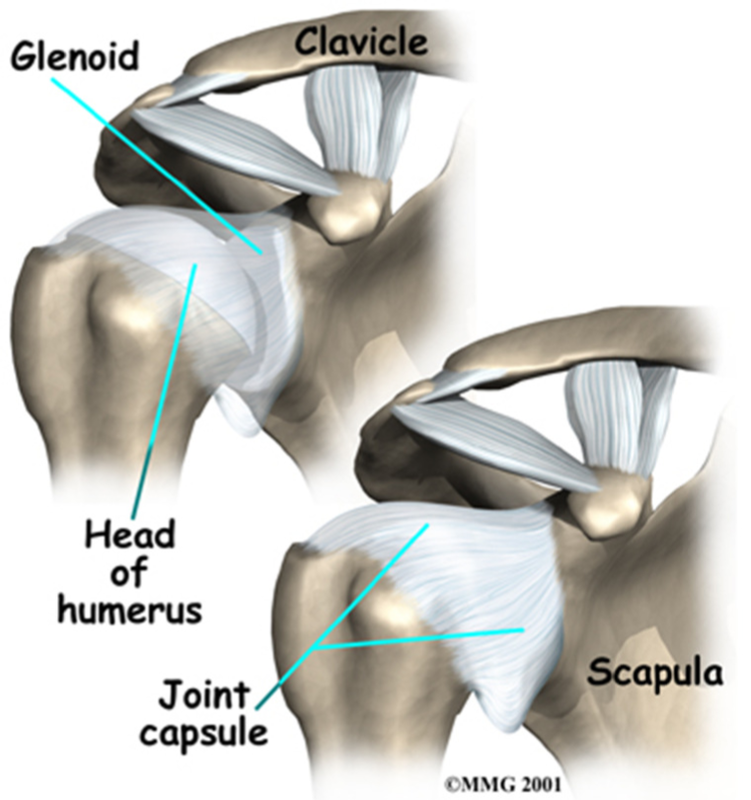 Both procedures involve reducing the size of the joint capsule to limit the movement within the glenohumeral joint. After surgery, physiotherapy is required to regain strength and range of motion. Will I be able to return to normal activities and sports? The goal is to return to normal activities and sports as quickly and safely as possible. If you return to sports or activities too soon, or play with pain, the injury may worsen. Everyone recovers from injury at a different rate. Your doctor will work with you to determine when you can resume athletic activities. Regaining full range of motion and strength is vitally important, as well as improving the overall stability of the joint. How can I prevent further damage or instability?